disclaimer:testimonials are personal opinions and results may vary. a difference to your life. "I was very doubtful whether I needed treatment, although I was certainly not a very happy person. I can truly say that my mental wellbeing/happiness went from a score of 2/10 to 10/10 during the first 6 months. My eyes were opened to how good life could be." Acupuncture is a complete and sophisticated system of medicine. It is over two thousand years old and is based on accessing and changing the body's energy by placing fine needles in the network of energy channels. 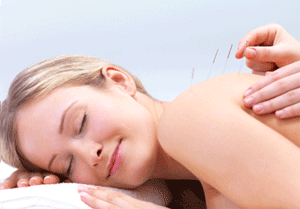 Traditionally, acupuncture is used to treat illness, and maintain people's health and wellbeing. Its focus is on improving the overall well being of the patient, alongside the treatment of specific symptoms. No one is the same, and so each person will be treated with an personalised treatment plan. Acupuncture is remarkably effective for a wide range of health complaints. Acupuncture helps to maintain your body's equilibrium. It involves the insertion of very specific points on the body to regulate the flow of 'qi', your body's vital energy. Our Reading clinic is based in the centre of Reading at the College of Integrated Chinese Medicine, Castle Street, Reading. Free parking is available to the rear of the building. Our Woosehill clinic in Wokingham is at the Woosehill Medical Centre, Fernlea Drive, just behind Morrison's supermarket. There is free parking to the rear of the building. You are invited for a free 20 minute informal chat to answer any questions you may have and to find out whether acupuncture can help you. Jonathan is a member of the British Acupuncture Council (BAcC) and as such is bound by strict Codes of Practice. These codes ensure that patients receive the highest standards of professional care during their acupuncture treatment.